Attorney Andrea Jepsen answers complex questions about special education law. Welcome to our Ask the Expert series, in which our panel of health, justice, and education experts answer your questions related to Fetal Alcohol Spectrum Disorders (FASD). Here, attorney Andrea Jepsen discusses when to consider a 504 Plan versus an Individualized Education Program (IEP). She explores important distinctions regarding whether a Functional Behavioral Assessment or Independent Educational Evaluation is appropriate. She also provides some guidance on school discipline issues. Got a question of your own? Email ruth@mofas.org. 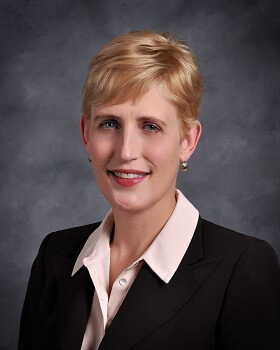 About the Expert: Andrea Jepsen is an attorney with the School Law Center, a law firm focusing on the rights of students and families in education and school law disputes. Andrea has worked with people with disabilities since 1997 in a variety of roles, including as an early childhood special education service coordinator, and as a legal services provider working regularly in the courts and in administrative proceedings. Andrea’s broad legal experience has involved representing clients in a variety of critical legal issues related to education, housing, elder law matters, public benefits, family law disputes, probate and other concerns. Question: FASD is a prenatal brain injury that can make school difficult. When is a 504 Plan appropriate versus an IEP? When should a Functional Behavioral Assessment or an Independent Educational Evaluation be pursued? What is some guidance on school discipline issues. An individualized educational plan, or an IEP, is a document that describes the specialized instruction, related services, and modifications or accommodations to which a qualifying child with a disability has a right under a federal law called the Individuals with Disabilities Education Act, or the IDEA. A 504 plan is a document that describes the specialized instruction, related services, and modifications or accommodations to which a qualifying child with a disability has a right under a federal law called Section 504 of the Rehabilitation Act. The IDEA is a law that covers qualifying students with disabilities alone; however, Section 504 is a law that protects all qualifying people with disabilities from disability discrimination at the hands of state and local governments, or from any entity that is a recipient of federal funding. One of the most important distinctions between the rights of students under Section 504 and the rights of students under the IDEA is the degree of educational benefit school districts are required to provide under each law. Under Section 504, a qualifying student is guaranteed an equal opportunity to participate in or benefit from any aid, benefit, or service that the school district affords students without disabilities, in the most integrated setting appropriate to the student’s needs. Qualifying students with disabilities must be afforded aids, benefits, and services that provide them with equal opportunity to obtain the same result, to gain the same benefit, or to reach the same level of achievement as students without disabilities. Under the IDEA, a student is entitled to an IEP that is reasonably calculated to enable the student to make progress that is appropriate in light of the child’s circumstances. For one student, that might mean that the IEP is reasonably calculated to enable the student to advance from grade to grade. For another student, that might mean that the IEP is otherwise appropriately ambitious in light of the student’s needs. A student may qualify under the law for a 504 plan even if the student does not meet the legal criteria for an IEP; however, as a general rule, a student with an IEP will also be covered by Section 504. A family with a student covered by Section 504 should seek to enforce that student’s rights to the greatest extent under that law. The family of a student with an IEP should seek to enforce that student’s rights to the greatest extent under both Section 504 and the IDEA—the family need not choose between the protections of each law. The differences between the benefits and obligations associated with the IDEA, Section 504, the Americans with Disabilities Act, and applicable state laws are complex, and are only just being appreciated by the courts. To obtain the best advice pertaining to your child’s rights under federal and state law, you should consult with a someone who fully understands your child’s rights under all applicable laws. A functional behavioral assessment, or an FBA, is intended to help the IEP team understand the function of a child’s behavior when it interferes with a child’s educational progress. If the team does not understand the function of a child’s behavior, it can be very hard to intervene and teach the child new and more appropriate ways of behaving. Functional behavioral assessments that identify the child’s behavior as a way for the child to acquire power, control, or attention are common, but in the opinion of the attorneys at the School Law Center, should be treated with a certain amount of skepticism. Understanding the function of behavior is a complex science, and it is very important to a child’s wellbeing to reach the correct conclusion regarding the function of a child’s behavior. Board Certified Behavior Analysts are extensively educated and trained in the science of behavior analysis, and often are the best choice to perform the most accurate and effective FBA. An independent educational evaluation, or an IEE, is a kind of evaluation that is performed by someone who does not have ties to the school district. A professional performing an IEE is not independent of the parents, however. This is a common misunderstanding. An IEE could consist of a functional behavior assessment, in part or in whole, but an IEE can be any kind of evaluation that is required so that the student can benefit from his education. For example, a student might receive an IEE that has a speech and language component, or may evaluate why the student is having trouble reading or learning mathematics, or that could involve all three or more components. A request for an IEE is appropriate when parents do not agree with the results of a school district’s evaluation. An IEE may be provided at public expense, meaning that the school district will absorb the cost of the IEE. Even in cases where the school district is paying for the IEE, the evaluator remains independent from the school district. If a parent requests an IEE at public expense because the parent does not believe that the school district’s evaluation was appropriate, the school district is obligated to either agree to provide the IEE at public expense, or initiate a due process hearing to demonstrate the appropriateness of its evaluation. There are no other options available to the district. School districts may impose some limitations on the nature or cost of the IEE; however, those limitations are often less far-reaching than school districts realize. If you believe that your child was evaluated in a way that was not appropriate, the best way to ensure that your child’s rights are protected is to consult with someone who is an expert in the IDEA and associated state law. What should I do if my child is facing suspension or expulsion? A child with a disability facing a suspension or expulsion may have rights under the United States Constitution, the IDEA, Section 504 of the Rehabilitation Act and the Americans with Disabilities Act, and state law. The most important thing that you can do if your child is facing suspension or expulsion is to talk to someone who understands all of these laws as soon as you receive notice that your child is facing a suspension or expulsion before making any decisions about your child’s educational future.